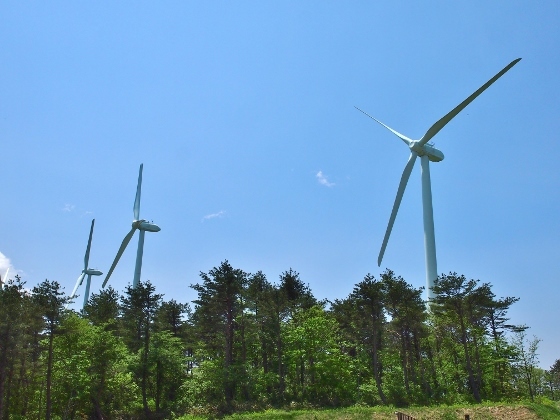 This is a close-up view of some of the wind turbines at Aizuwakamatsu Wind Farm. 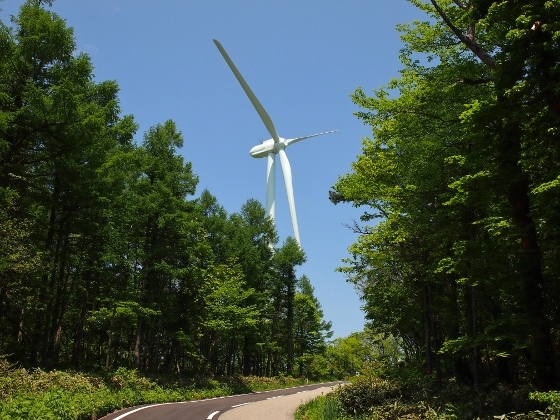 The wind farm is located on Seaburi Mountain in Aizuwakamatsu City. 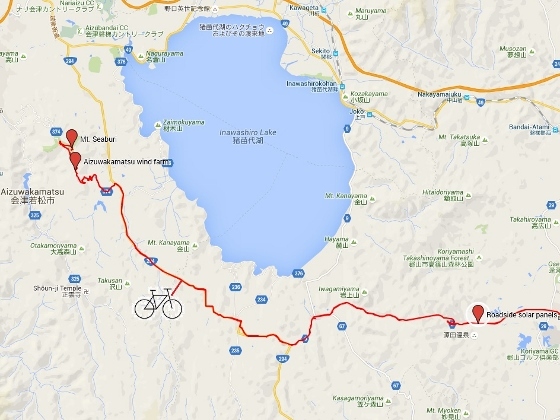 There is a road which climbs up to the power station at an altitude of about 820m above sea level. The photo above shows the first wind turbine which welcomes us. There is a description on the board shown above about the wind farm. It generates 16,000kw of electricity which is equivalent of 9,850 households' consumption. It started operation last year. 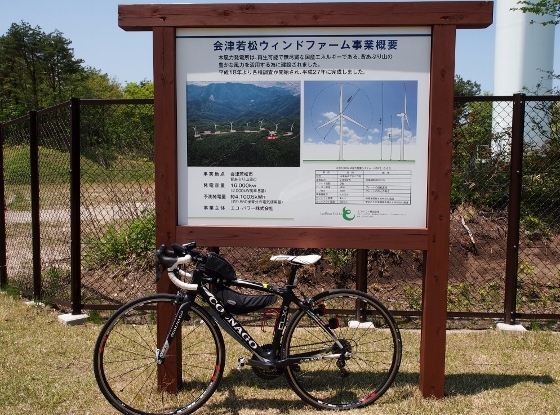 The wind turbines were made by Hitachi. 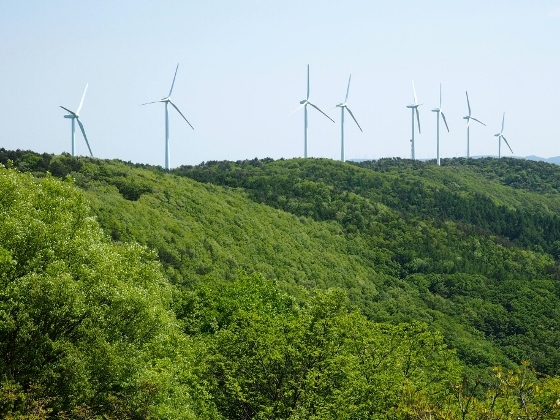 The whole eight wind turbines stand in line along the ridge of the mountain as shown above. The mountain is full of fresh green leaves. From the top of Mt. 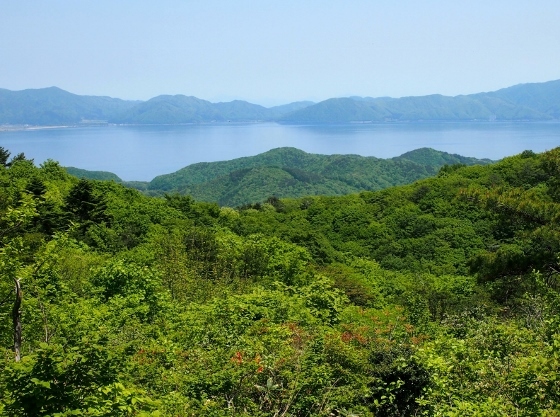 Seaburi (853m), I could look down on Lake Inawashiro as shown above. It was large and beautiful surrounded by hills of fresh green leaves. On the way to the wind farm, I found another renewable energy power plant as shown above. 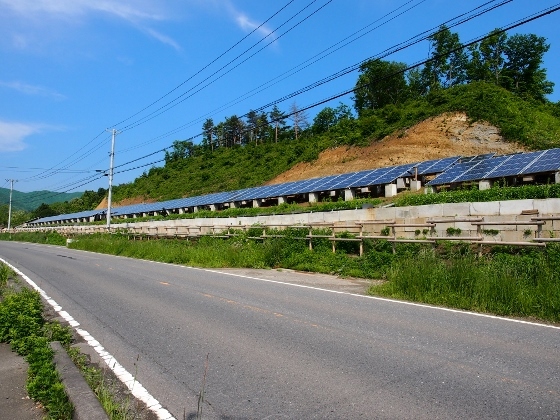 The roadside solar panels were installed straight along the road at Tadano District of Koriyama City.